I have nsurlsessiond eating all my bandwidth. That's because I have iCloud Drive enabled. But I wouldn't like to deactivate it for good, 'cause when I'm at home, where I have a fiber broadband, I like it to keep iCloud content in sync with my local drive. However, when I'm traveling I like to be able to stop this guy from eating all my paid LTE mobile service. I tried to uncheck iCloud but it pops-up a message saying that all my iCloud documents will be deleted from my local drive. If I press the button to keep a copy, it sais it need to finish synchronization before stoping the service. I tried links like the one below, which recommends stopping the nsurlsessiond process, but it keeps coming back. Is there a way to just pause iCloud drive or to make it work only when I'm at home? I'm not sure how it exactly accomplishes it, but take a look at TripMode. It offers the functionality you're looking for, and even automatically switches based on the network you're on. Enable Firewall if it is not enabled. Press the plus button and search for Finder app. When you are ready to re-enable the synchronization just select "Allow incoming connections". (I do not own any other Apple device thus I use iCloud synchronization like an online backup). 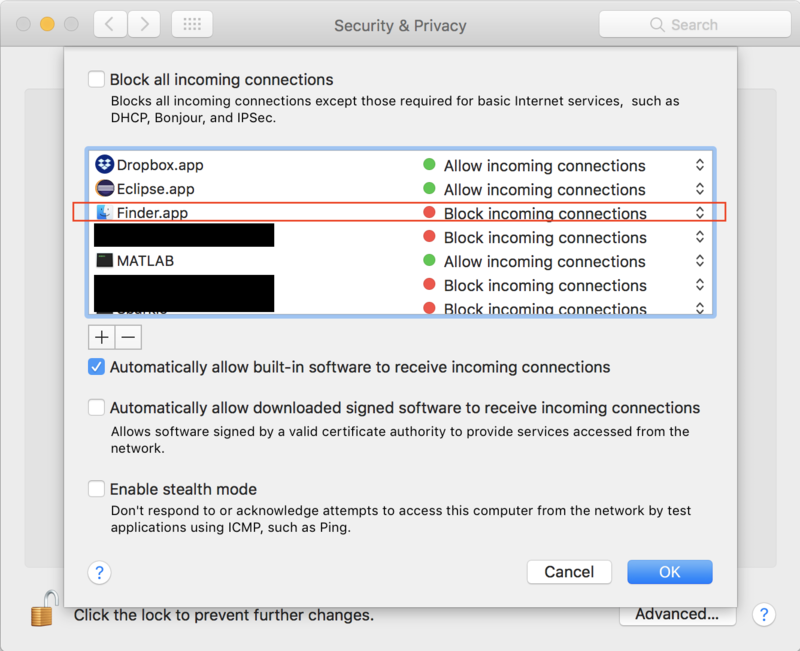 Note that when Finder is blocked you will stop synchronization FROM your Mac to iCloud. However, changes made in the cloud will be synchronized to your Mac (Eg. using the iCloud web interface or other device). Not the answer you're looking for? Browse other questions tagged macos icloud lte . How can I access my Time Capsule remotely with iCloud? iCloud init on Sierra upgrade - did Apple “dox” me? Can I access iCloud Drive files from non-apple device?